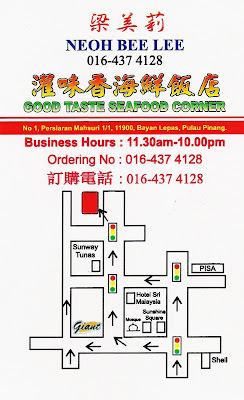 Good Taste Seafood Corner is located at No. 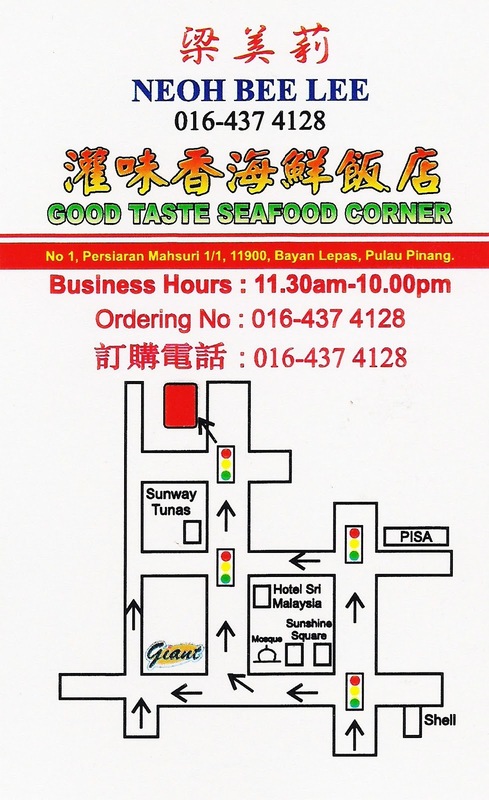 1, Persiaran Mahsuri 1/1, 11900 Bayan Lepas, Penang within Sunway Tunas. It is nearby to Free Trade Zone (FTZ) Area and very popular among the factory workers during the lunch time because the prices are reasonable and affordable. Food Delivery within the Bayan Lepas Area (Sunway Tunas) - Bkt Jambul (Inti International College) without additional charges. Poached Egg with the crispy edge. Note : The Egg Yolk is not well done. Overall the taste of this dish was not bad at all. it will be more tender. I find that it was abit pricey for this dish because of the quantity. Suggestion : Ginger Strips should be added to enhence the fragrant. You can request the chef to add the ginger strips when you order this dish. Prawns / Spare Ribs / Chicken or Slices Chicken.